The weather dramatically changed this week but thankfully we managed to run all our walks without any issues. 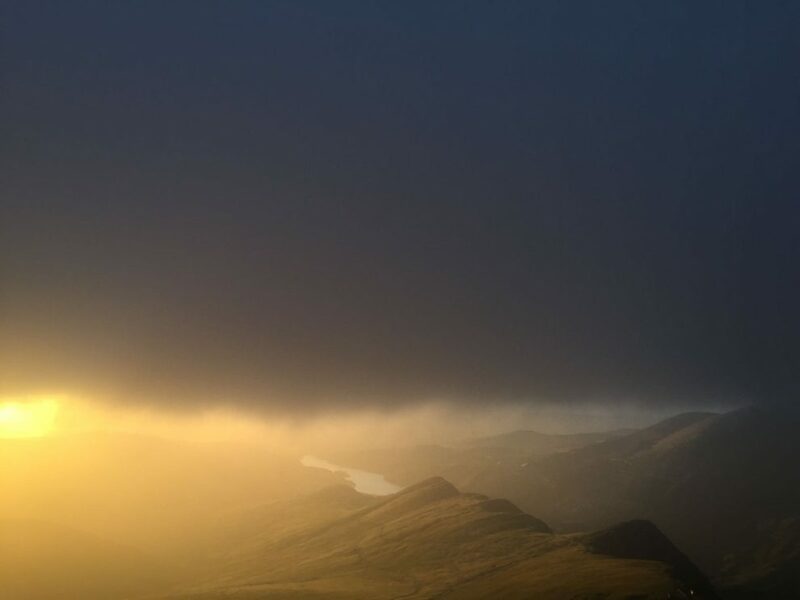 Snowdonia was battered by strong winds and torrential rain but it didn’t stop our groups heading up to the top of Snowdon to enjoy a truly amazing sunset. The weather has been awful, but we still went ahead and we had a bit of good luck with a gap in the weather. 30 walkers took on Snowdon on Saturday evening with the hope of seeing a sunset. Everyone fully expected that the views would be rubbish, as did we, but how wrong were we! The weather cleared for about an hour and we were treated with a dramatic cloudy sky that was illuminated by the distant setting sun. The group couldn’t take enough photos. 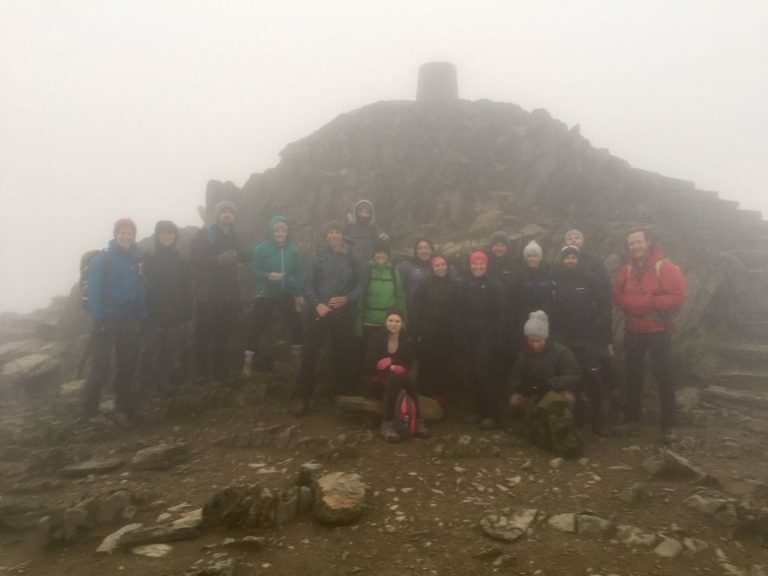 The walk to the summit was arduous and at times pretty miserable, so a huge well done to everyone who still came out and headed up Snowdon. Fantastic group and a really lovely group vibe which made the evening so special. Find out more about our Snowdon Moonlight guided walks. Friday was a much better weather day in the Lakes. 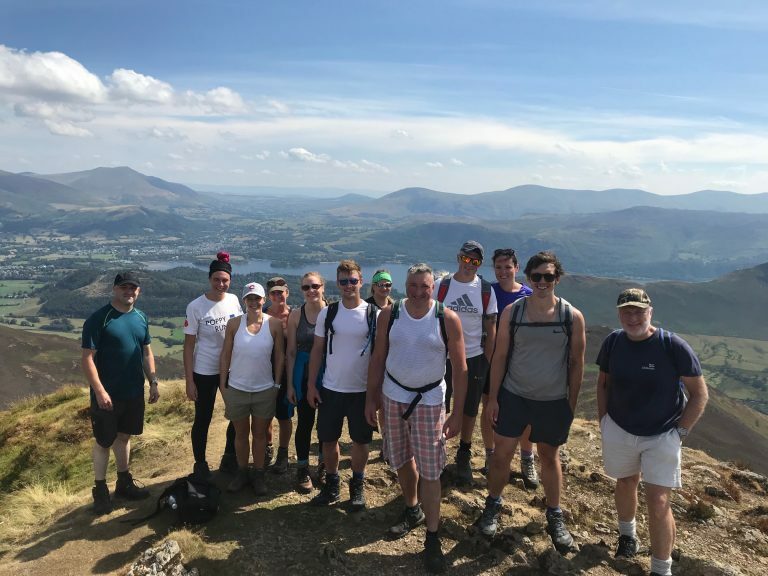 18 clients joined our monthly Coledale 10 Peak guided walk in the Lake District. Fantastic weather all day with stunning views from the top of all the summits. Another fantastic and determined group who took on the route with so much enthusiasm. We even had a new route record with the first group coming home in a staggering 6 hours and 30 minutes. However, the back group were only 10 minutes off the old time so I think that shows you how great everyone was. Well done everyone and we look forward to seeing you on your next Lake District guided walk. 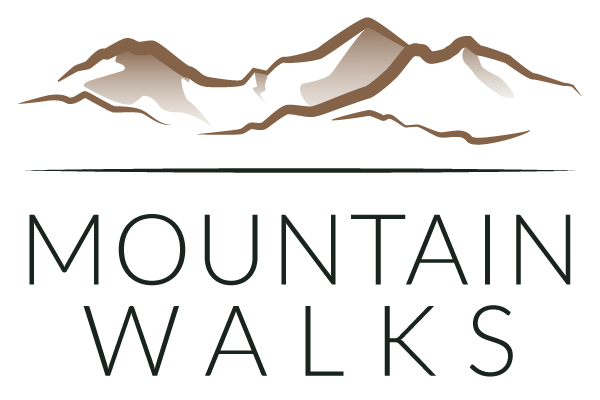 Find out more about the Coledale 10 Peak Challenge.